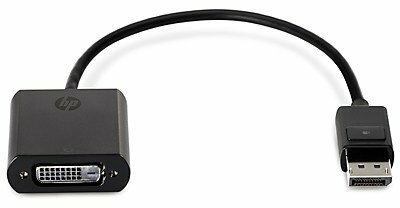 The DisplayPort to DVI-D Adapter has either a one-year limited warranty or the remainder of the warranty of the HP product in which it is installed. Technical support is available seven days a week, 24 hours a day, by phone, as well as online support forums. Certain restrictions and exclusions apply.